Writing an operating system is no small task, but like everything else it is easier than it used to be. [JSandler] has a tutorial on how to create a simple operating system for the Raspberry Pi. One thing that makes it easier is the development environment used. QEMU emulates a Raspberry Pi so you can do the development on a desktop PC and test in the virtual environment. When you are ready, you can set up a bootable SD card and try your work on a real device. The operating system isn’t very complex, but it does boot, organize memory, displays on the screen, handles interrupts, and manages processes. What else do you need? Here at Hackaday we tend to stay pretty close to the bleeding edge in tech, not by any conscious effort, but simply because that’s what most hackers are interested in. Sure we see the occasional vintage computer rebuild, or reverse engineering of some component that was put into service before most of us were born; but on the whole you’re way more likely to see projects involving the latest and greatest microcontroller to hit AliExpress than ones involving the once ubiquitous vacuum tube. But occasionally it’s nice to take a step back from the latest and greatest, to really look at what makes the hacker spirit without the all modern trappings of blinking LEDs and Wi-Fi connectivity. We make and explore because it’s something we are passionate about, and while today most of us are doing that with a soldering iron or a compiler, that hasn’t always been the case. 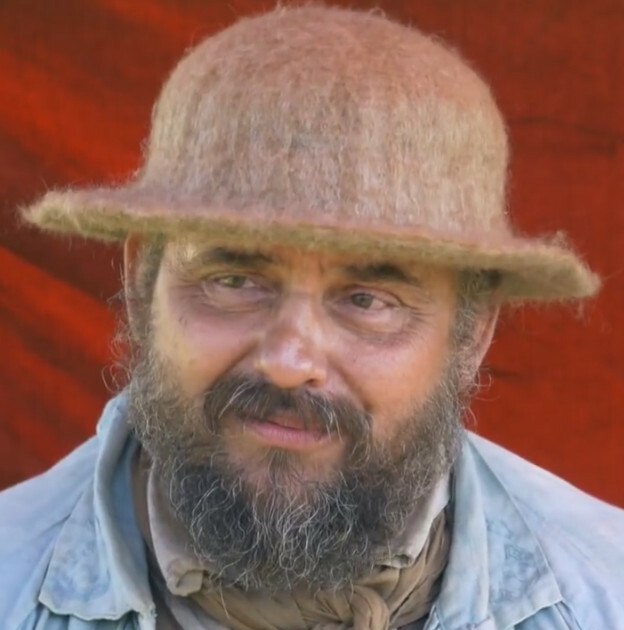 In the video below, historic interpreter and woodworker [Bill Maddox] talks about what draws him to 18th century technology. His tools may look foreign to us, but the passion he shows while talking about his creations will be familiar to anyone who’s ever set foot in a hackerspace. Even with a vastly different set of interests than the modern hacker, [Bill] runs into some very familiar problems. When the highly specialized tools he needed to work like an 18th century craftsman weren’t available, he decided to make his own. But to make his own tools he needed to learn how to forge, and after he forged his hand tools he moved on to forging chisels for the lathe he decided to build. Whether or not we ever take a knife to a piece of wood and try to carve out a spoon, it’s impossible to watch [Bill] speak about his creations and not see him as a kindred spirit. Like many of us, he’s honed skills in a niche that the everyday person takes for granted. Makes you wonder what people from 300 years in the future would think of us if they could peer back through the centuries. We’ll admit that [3DSage] has a pretty standard design for a crystal radio. What we liked, though, was the 3D printed chassis with solderless connections. Of course, the working pieces aren’t 3D printed — you need an earphone, a diode, and some wire too. You can see the build and the finished product in the video below. Winding the coil is going to take awhile, and the tuning is done with the coil and capacitance built into the tuning arrangement so you won’t have to find a variable capacitor for this build. There is a picture of the radio using a razor blade point contact with a pencil lead, so if you want to really scrimp on the diode, that works too, and you can see how at the end of the video. We did like the use of cord ends from a sewing and craft supply store to serve as solderless springs. This would be a great item to print off a few dozen copies and use it for a school or youth group activity. You might want to pair it with an AM transmitter, though so the kids won’t be dismayed at what is playing on AM in most markets. [3DSage] uses a sink for ground — literally a kitchen sink. However, if you try this, make sure all the pipes are metal or you won’t get a good ground and you probably won’t pick up any stations. We’d like to get some of those springs and make some other kind of starter projects with them like the kits many of us had as kids. This reminded us of the old foxhole radios, found during World War II. Let’s get something out of the way: yes, this assumes you already own or have access to a compressor. So if you do, and know what you’re getting into, why not build a cheap sandblasting rig? That’s what [adamf135] did after seeing someone do it on YouTube. He seriously doubted it would work, but the results are pretty impressive. This one doesn’t require much more than an empty 20oz bottle, a cheap air gun/nozzle, and an adapter. The hardest part of this hack seems to be cutting a groove in the nozzle for the blasting material without severing it completely. [Adam] cut a 1/2″ section out of his, but that large of an opening really uses up the blasting material. He recommends going smaller. After snipping off the sealing ring, he runs the nozzle through a 3/16″ hole drilled through the strongest part of the bottle and seals it off with hot glue. Watch it power through rust and paint with crushed glass after the break. If you do any open sandblasting like this, be sure to at least wear a mask. If you don’t want to spray fine particles all over the shop, you could build a wet media blasting cabinet instead, or go even lower-tech and build a drill-powered parts tumbler. In the coming decades, mankind will walk on the moon once again. Right now, plans are being formulated for space stations orbiting around Lagrange points, surveys of lava tubes are being conducted, and slowly but surely plans are being formed to build the hardware that will become a small scientific outpost on our closest celestial neighbor. This has all happened before, of course. In the early days of the Apollo program, there were plans to launch two Saturn V rockets for every moon landing, one topped with a command module and three astronauts, the other one containing an unmanned ‘LM Truck’. This second vehicle would land on the moon with all the supplies and shelter for a 14-day mission. There would be a pressurized lunar rover weighing thousands of pounds. This wouldn’t exactly be a Lunar colony, instead, it would be more like a small cabin in the Arctic used as a scientific outpost. Astronauts and scientists would land, spend two weeks researching and exploring, and return to Earth with hundreds of pounds of samples. With this, as with all Apollo landings, came a risk. What would happen if the ascent engine didn’t light? Apart from a beautiful speech written by William Safire, there was nothing concrete for astronauts consigned to the deepest of the deep. Later in the Apollo program, there was a plan for real hardware to bring stranded astronauts home. This was the Lunar Escape System (LESS), basically two chairs mounted to a rocket engine. While the LESS was never built, several studies were completed in late 1970 by North American Rockwell detailing the hardware that would return two astronauts from the surface of the moon. It involved siphoning fuel from a stricken Lunar Module, flying to orbit with no computer or really any instrumentation at all, and performing a rendezvous with an orbiting Command Module in less than one Lunar orbit. Every so often, a project is worth some extra work to see if the idea can go any further. [JohnSL] has been busy doing exactly that with his spring-loaded SMT tape holder project. Having done the original with 3D printing, he has been working on designing for injection molding. This isn’t a motorized feeder, it’s still a manual tool but it is an improvement over the usual workshop expedient method of just sticking segments of tape down to the desktop. Tape is fed into the holders from one end and spring tension holds the tape firm while a small slot allows the cover tape to be guided backward after peeling. As anyone who has used cut segments of tape to manually deal with SMT parts knows, small vibrations — like those that come from peeling off the clear cover — can cause the smaller components to jump around and out of their pockets, and any length of peeled cover gets awkward quickly. The design allows for multiple holders to mount side-by-side. In [JohnSL]’s design, all SMT tapes sit at an even height regardless of size or tape thickness. A central support pushes up from the bottom with tension coming from a spring pulling sideways; the central support is forced upward by cams and presses against the bottom surface of the tape. As a result, the SMT tape gets supported from below with even tension and the whole assembly maintains a narrow profile suitable for stacking multiple holders side by side. The CAD files are available online along with a McMaster-Carr part number for the specific spring he used. After working out the kinks on 3D printed prototypes, [JohnSL] decided to see if it would be feasible to design an injection molded version and made a video outlining the process, embedded below.